The PTA wanted to share with you the following testimony that a member presented at the MCPS Board of Education Meeting on March 8 regarding capacity considerations at NHE and OV. The text below is only part of the testimony. Please see the links below for the full testimony and additional graphs showing capacity at the schools over time. 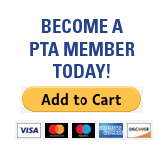 The PTA is committed to ensuring the needs of our students are met by MCPS and will continue to advocate for additional capacity considerations at both schools. At this time, OV is over capacity and should be considered in any future discussions about solutions to overcrowding in the Downcounty schools. For additional information, please contact Erin Taylor, PTA President. The following questions and opportunities related to New Hampshire Estates (PreK-2) and Oak View (grades 3-5) elementary schools in Silver Spring are being submitted by the school’s combined PTA in response to MCPS’ Downcounty Consortium Elementary School Site Selection exploration. Enrollment and capacity at New Hampshire Estates and Oak View elementary schools needs to be properly studied now to identify a clear plan for addressing current and future capacity needs at these two schools. In light of Superintendent Dr. Smith’s February 26 recommendation to consider a new school in the future and continue to monitor student enrollment at downcounty elementary schools, the PTA is asking MCPS to specifically study enrollment and capacity at New Hampshire Estates and Oak View, in order to create a plan that would specifically address these two schools. The PTA’s questions are: How would a new school outside the beltway or the planned additions at other downcounty schools address current or future capacity needs at New Hampshire Estates and Oak View? If those initiatives won’t address the capacity needs at New Hampshire Estates and Oak View, then how will the needs be addressed? Student enrollment and space deficits are underreported for Oak View Elementary School in the downcounty school site documents, due to the addition of new classes that are not calculated into the future enrollment projections and will contribute to the school being about 146 students (or 43%) above capacity (according to the schools’ principals). These enrollment projections need to be reviewed and corrected. Also, there is a history of inconsistency between projected enrollment and actual enrollment over time – from the 2013 Roundtable, to the 2014-2015 Downcounty Consortium Capacity Study, to the 2017 school site selection process. Can MCPS ensure that accurate data is informing the plans for these schools? MCPS’ 2013 decision to continue the split-elementary school configuration of New Hampshire Estates and Oak View appears to be invalidated by MCPS’ current positions on demographics and school engagement, as demonstrated by the Richard Montgomery Elementary School #5 boundary decision. For New Hampshire Estates and Oak View in Silver Spring in 2013, MPCS did not approve neighborhood PreK-5 schools despite the PTA being “overwhelmingly in favor of”1 PreK-5 schools along with all four civic associations. Instead, MCPS continued a split-elementary “paired” bussing arrangement of two of the county’s poorest schools. MCPS’ reason was that continued “pairing” would avoid a “significant”1 25.3% difference in the number of low-income students who are eligible to receive free and reduced-price meals (FARMS) between the schools, and MCPS claimed that “geography is not seen by MCPS to be a barrier to effective engagement”1. This configuration of non-contiguous communities surrounding the schools increases transportation distances for students, minimizes walking access and requires students to change schools in third grade. For the new elementary school in Rockville in 2017, MCPS approved neighborhood PreK-5 schools, following Regulation FAA-RA that promotes “contiguous communities surrounding the school” with “minimized” transportation distances and “maximized” walking access, and respecting community requests for students to be in close proximity to schools. MCPS did not “pair” any schools in Rockville, instead MCPS approved a 43.9% difference in the FARMS rate between the new Richard Montgomery #5 and existing Twinbrook elementary schools. No MCPS Board members voted for options that would have achieved less disparity as bussing would have increased students’ travel distance and time to school.2,3 This configuration of contiguous communities surrounding the schools decreases transportation distances for students and maximizes walking access. The Purple Line will run directly between the neighborhoods assigned to New Hampshire Estates and Oak View, likely further complicating bus and family transportation between these schools, which already have non-contiguous boundaries and are also separated by two state highways. MCPS is addressing the impact of the Purple Line on other downcounty schools, however, could MCPS also specifically study and mediate the impact of the Purple Line construction and operation on New Hampshire Estates and Oak View? In light of all of the above information, MCPS has the opportunity to reestablish PreK-5 programs at New Hampshire Estates and Oak View elementary schools to address capacity needs in Downcounty Consortium elementary schools inside the Beltway, while also creating fair and equitable opportunities for students to access the benefits of PreK-5 that are present in 95%+ of the county’s elementary schools. Would MCPS consider investing in New Hampshire Estates and Oak View as PreK-5 schools to address capacity needs in the downcounty? The president of the combined PTA for New Hampshire Estates and Oak View requests a meeting with Superintendent Dr. Smith and the Board of Education members to discuss these questions and opportunities. Please note that the PTA is requesting this meeting in part because no representatives from these schools’ administration, PTA or neighborhood civic associations were invited to participate on new Downcounty Consortium Elementary School Selection Advisory Committee.